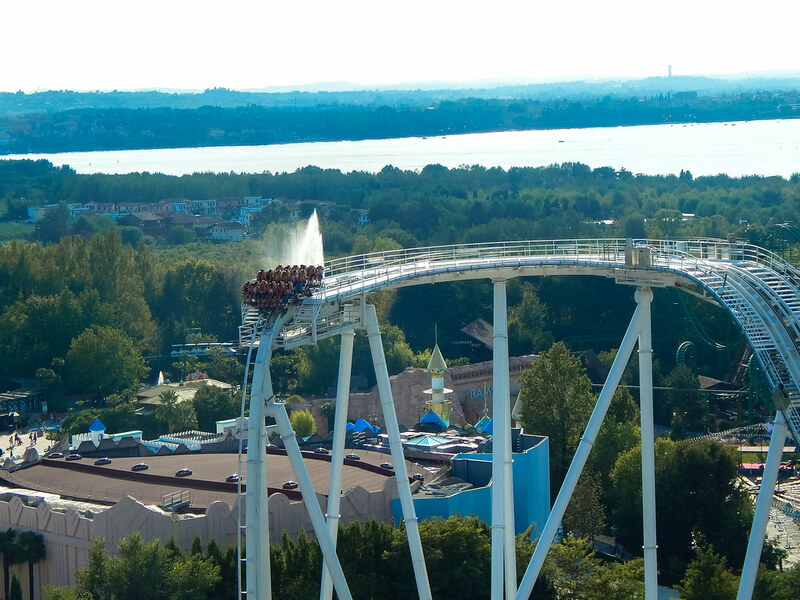 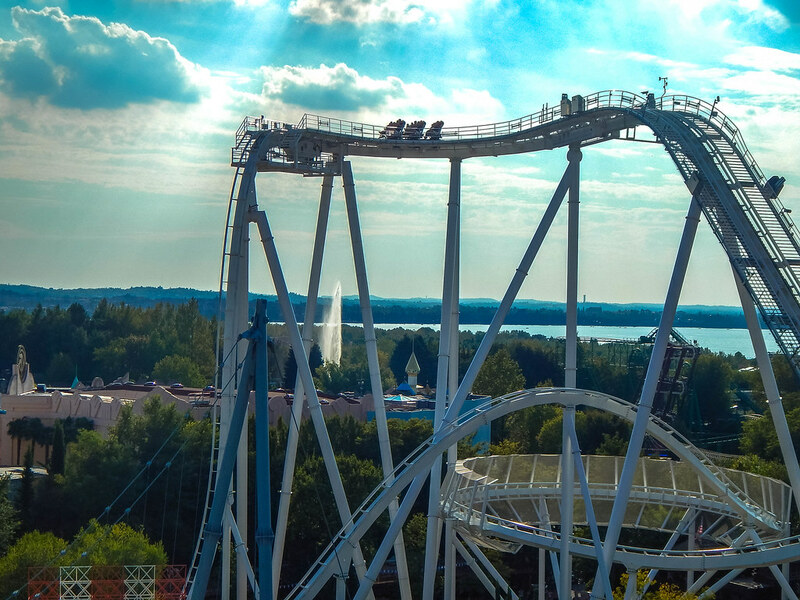 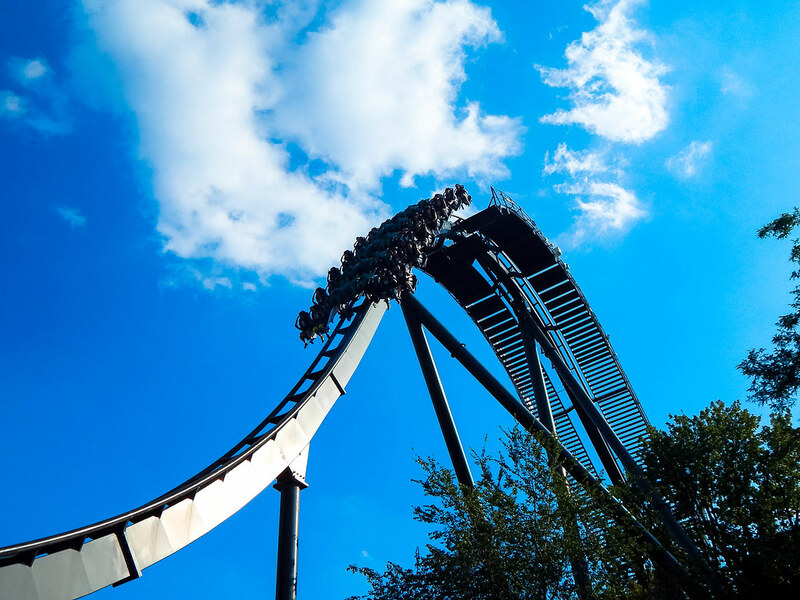 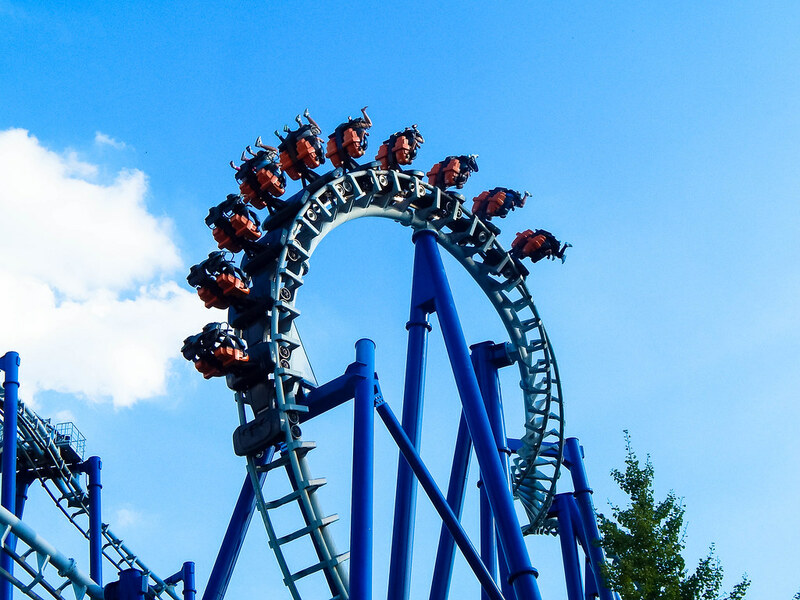 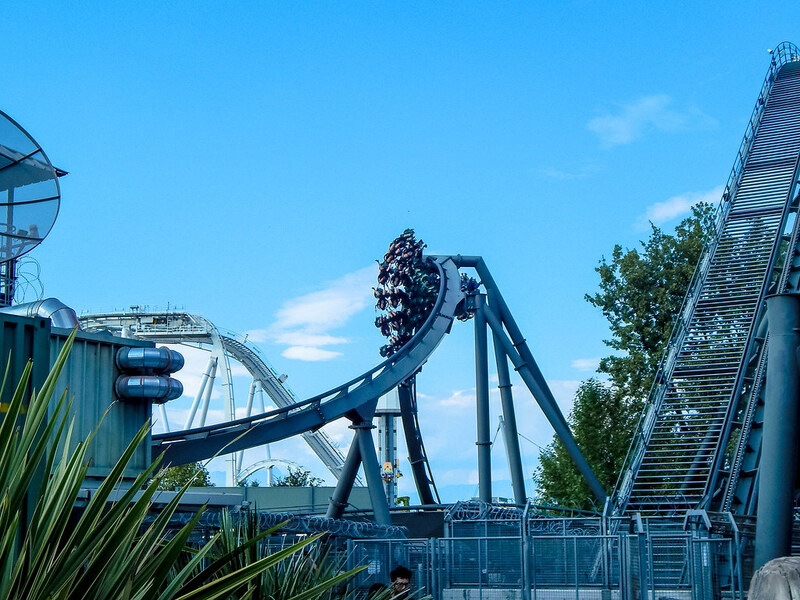 Gardaland is Italy’s biggest theme park resort set on the banks of the idyllic Lake Garda. 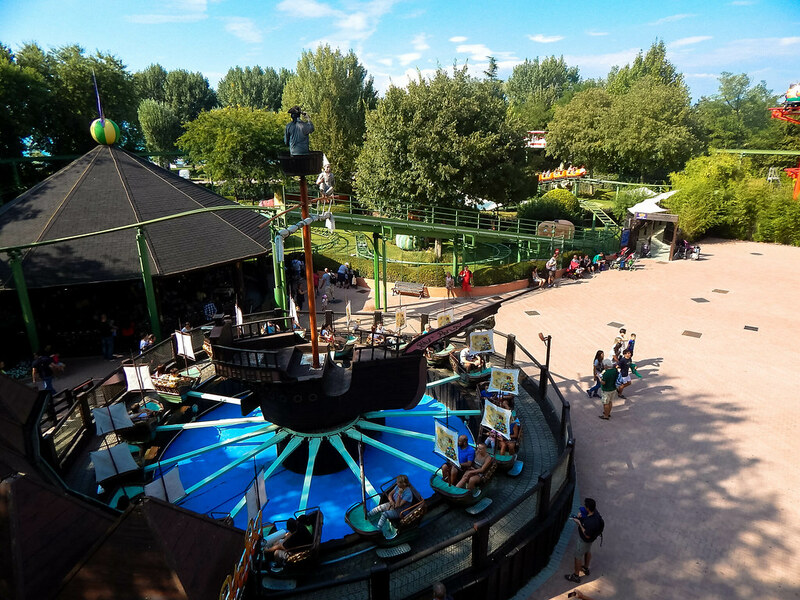 The resort welcomes over 3 million visitors a year and is also home to several on-site hotels and a Sealife Centre. 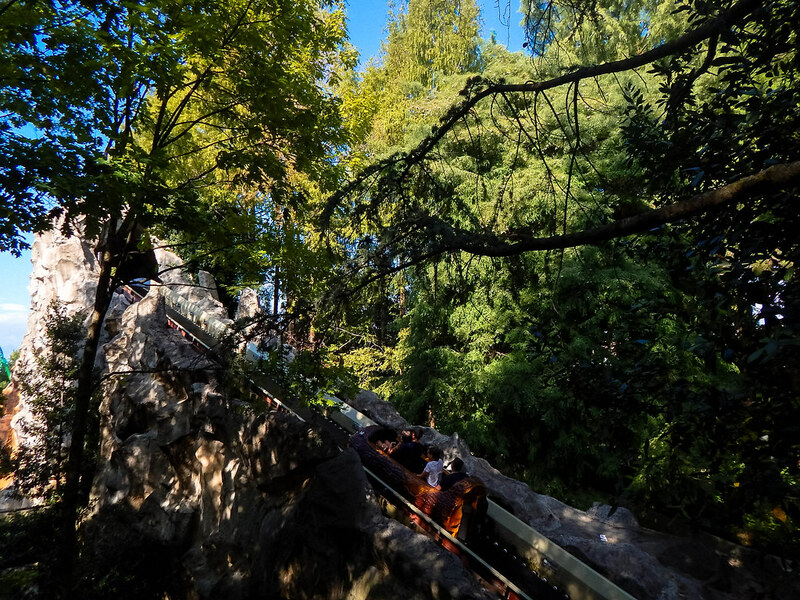 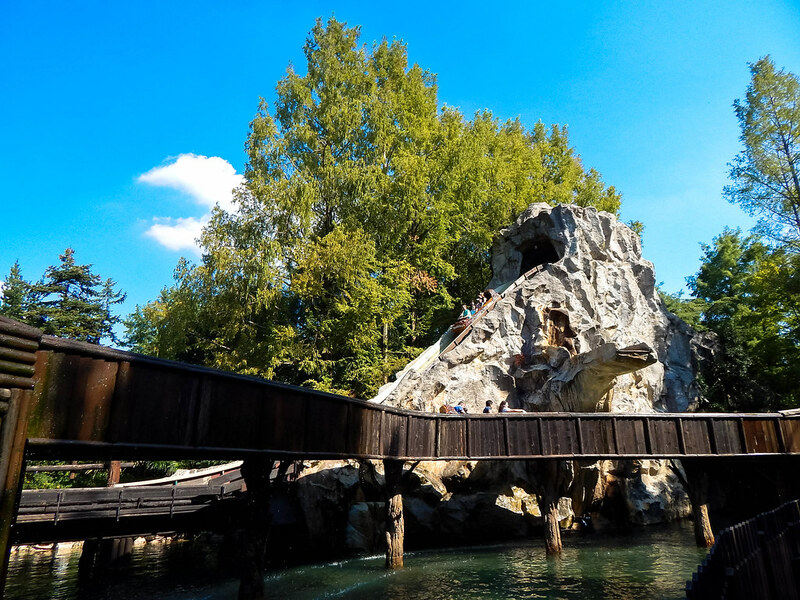 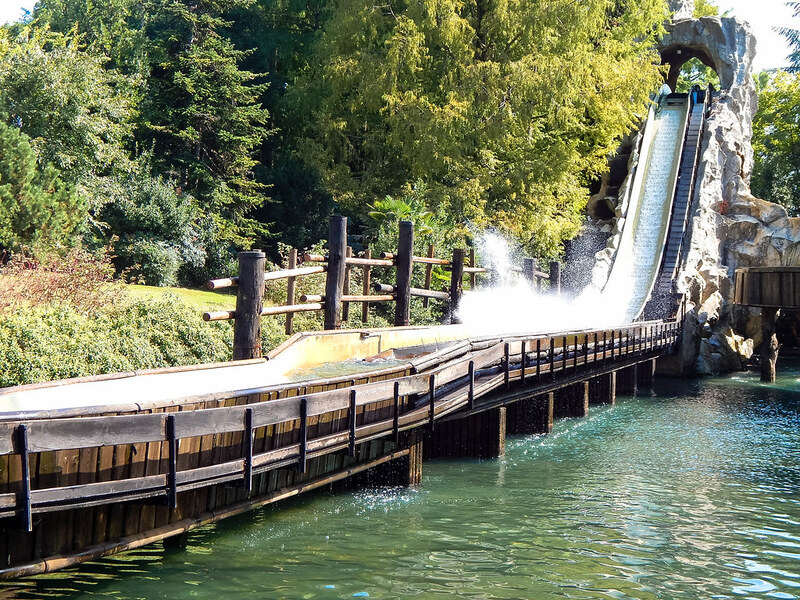 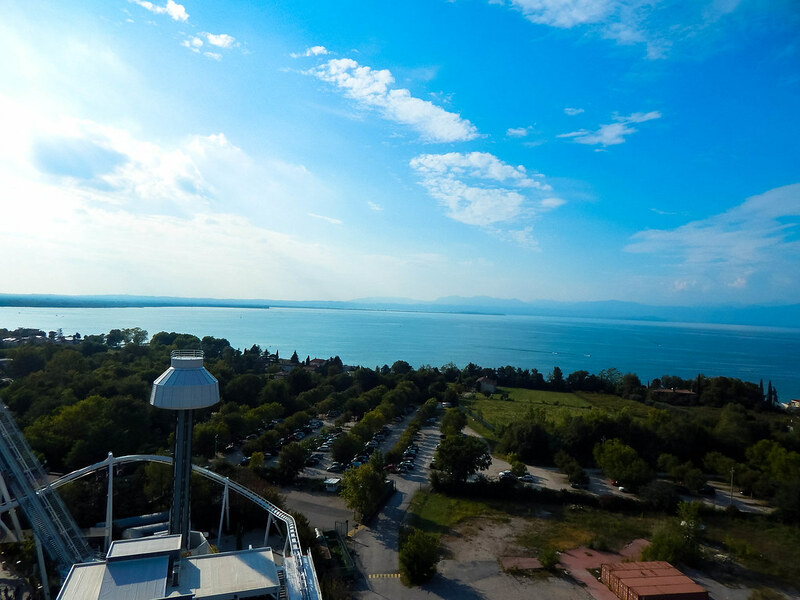 In terms of location Gardaland wins our award for the prettiest park we have ever visited, and from almost every point in the park you get a stunning view of Lake Garda. 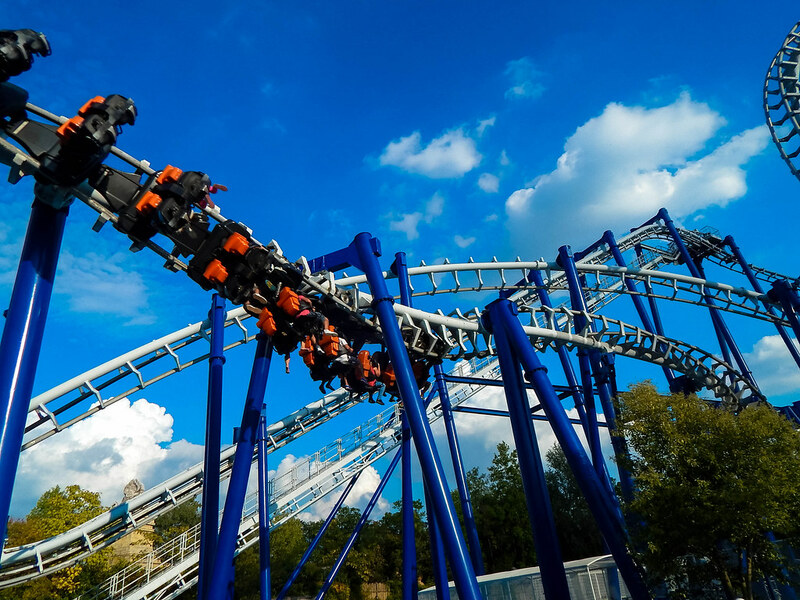 The theme park was taken over by Merlin Entertainments in 2008, and over the years they have certainly added some worthwhile attractions. 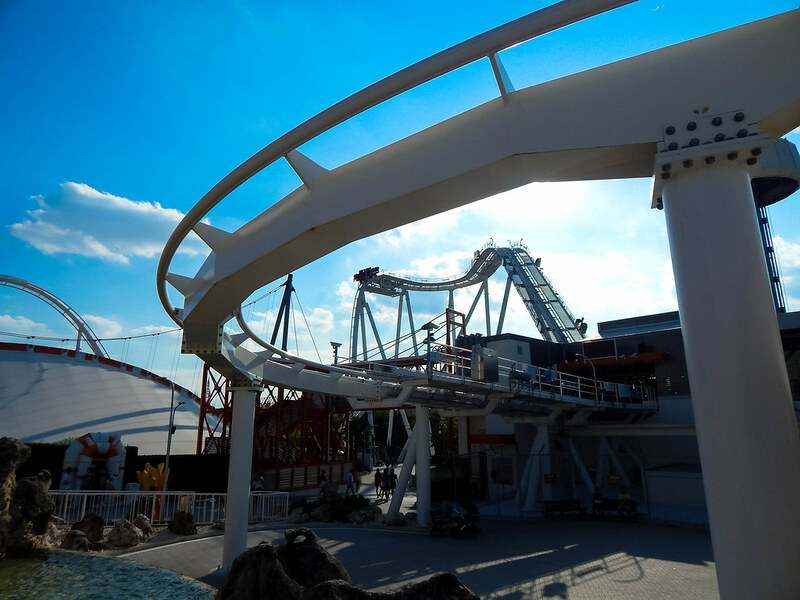 These additions include Raptor, Oblivion: The Black Hole and the new for 2016 Kung Fu Panda Academy area which looks fantastic. 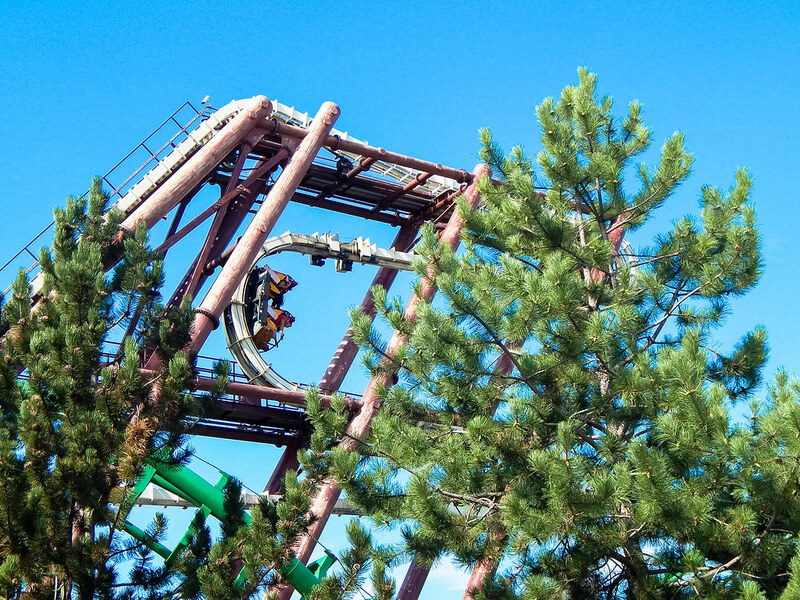 We first headed to the back of the park to take a ride on Oblivion: The Black Hole. 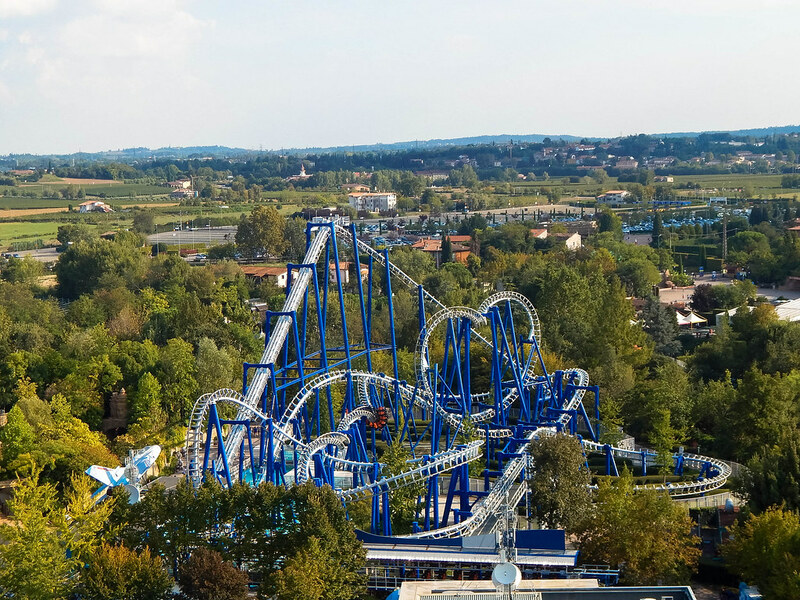 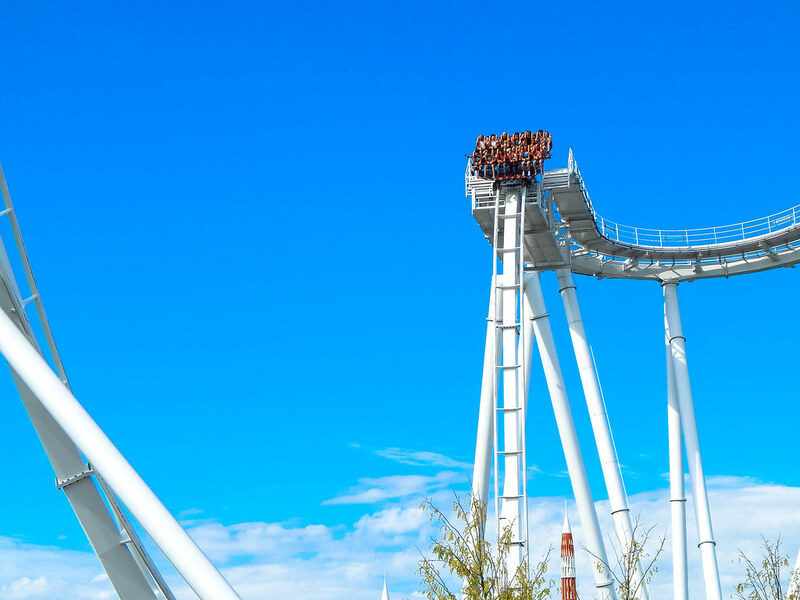 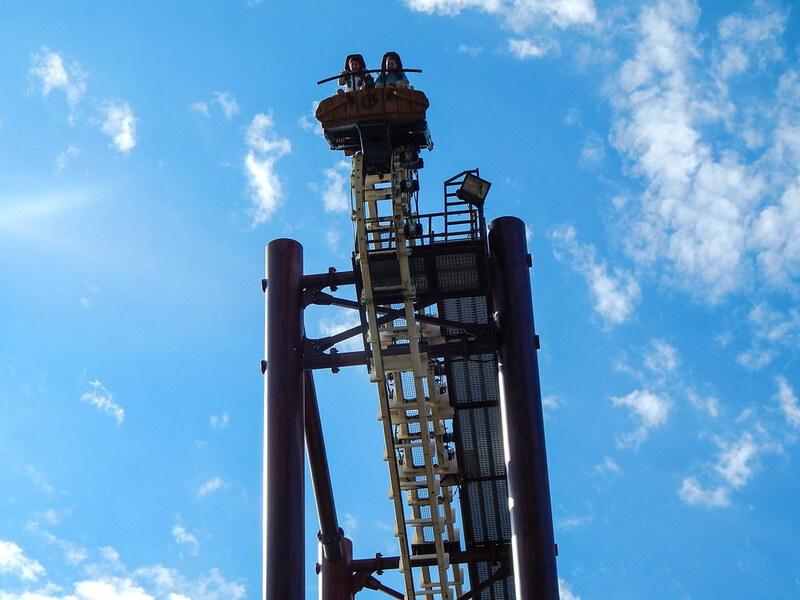 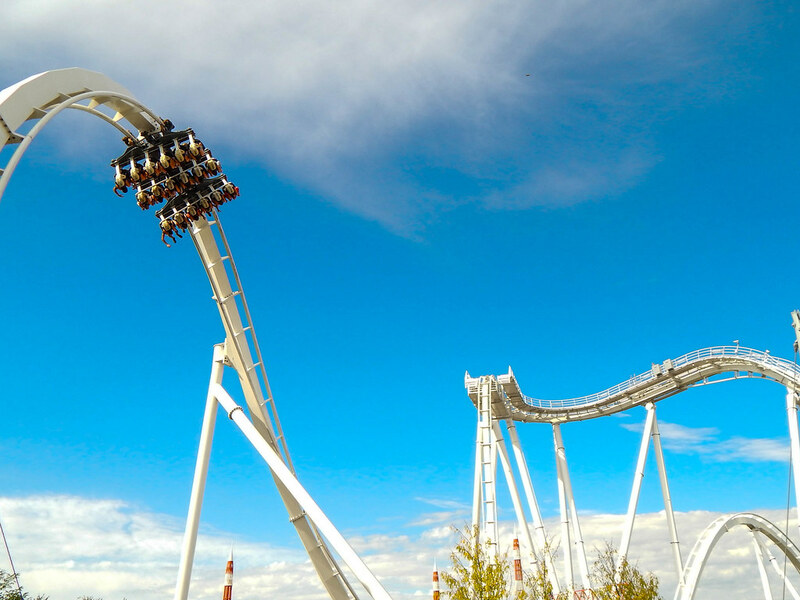 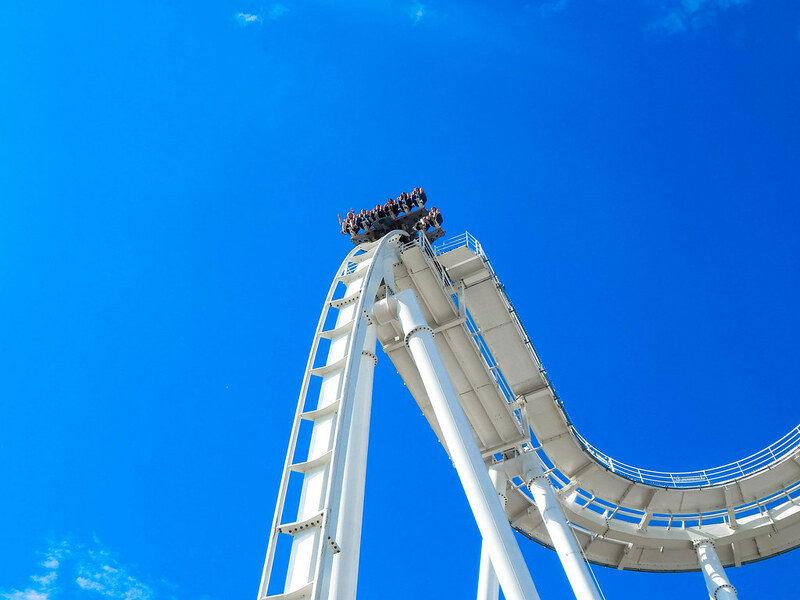 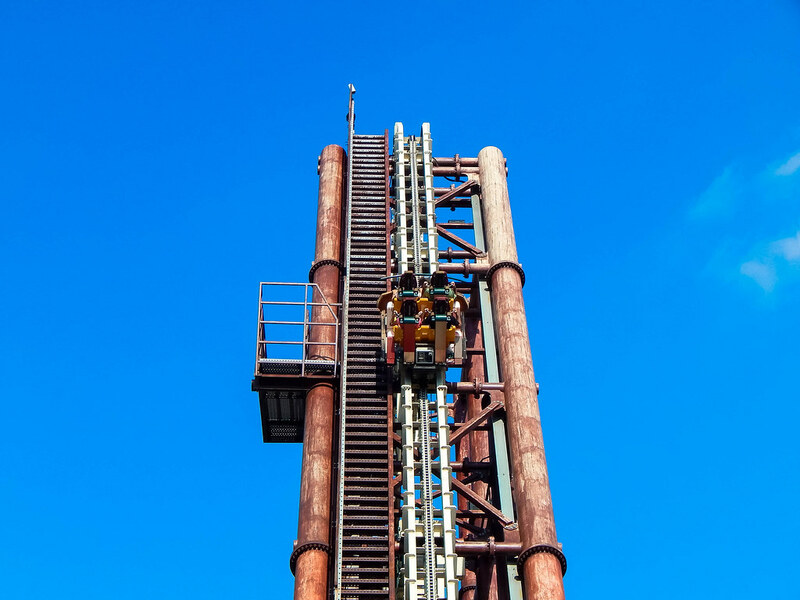 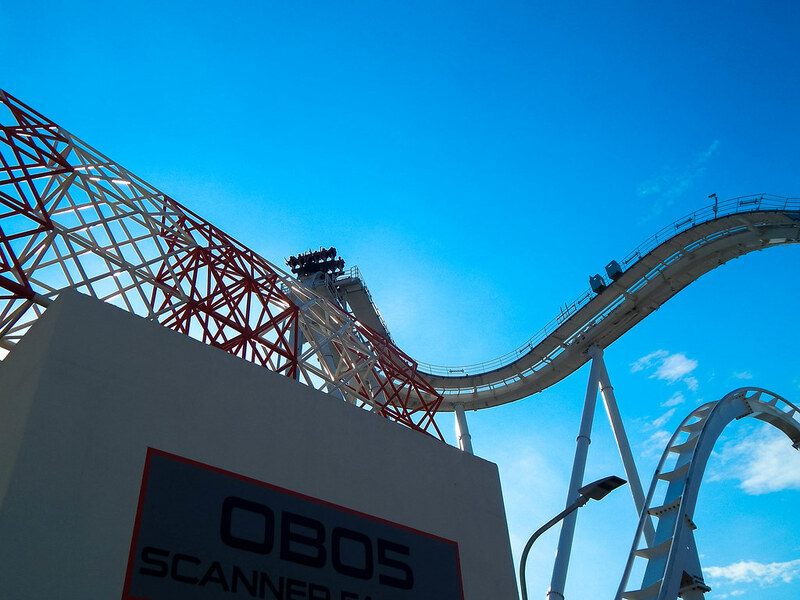 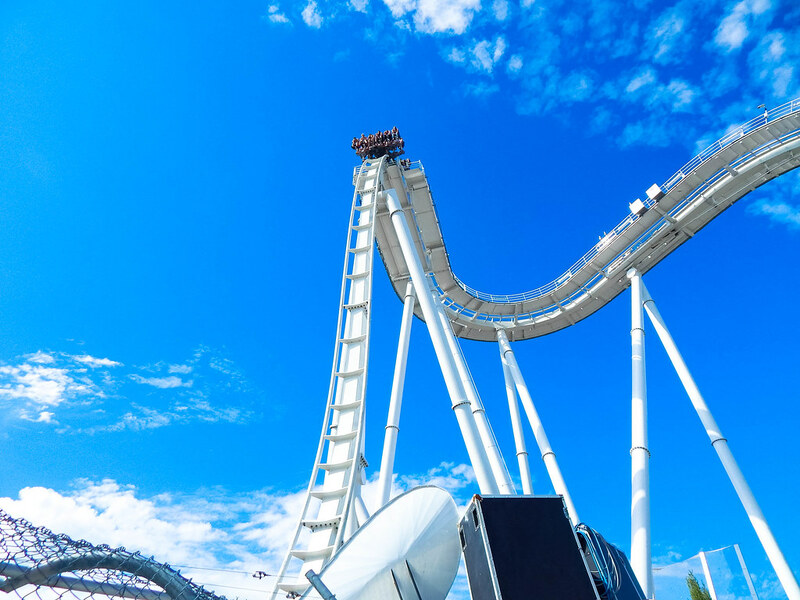 This is Italy’s first Vertical Drop Roller Coaster and is a spectacle to watch as it plunges into a warping vortex. 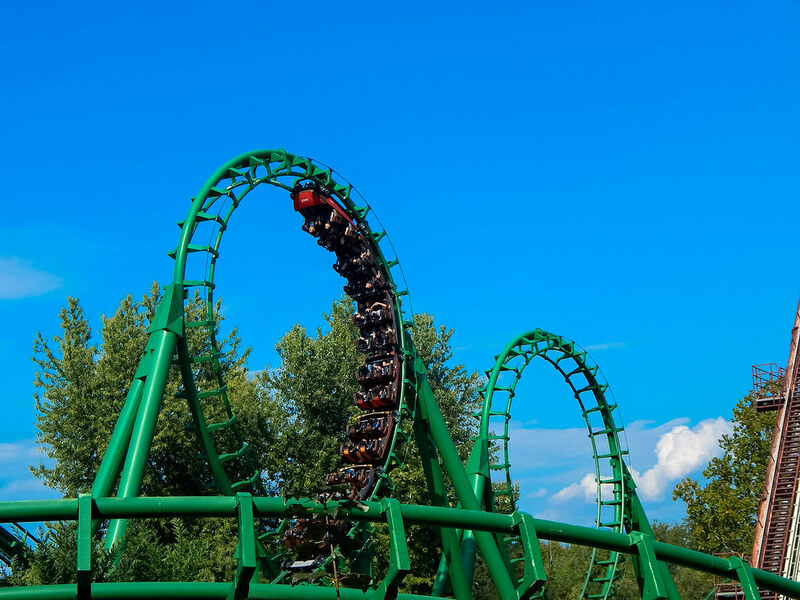 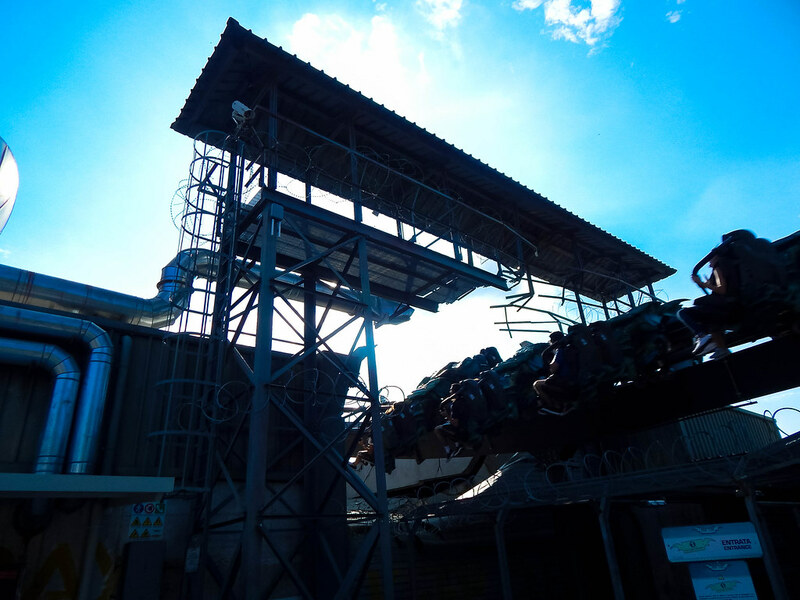 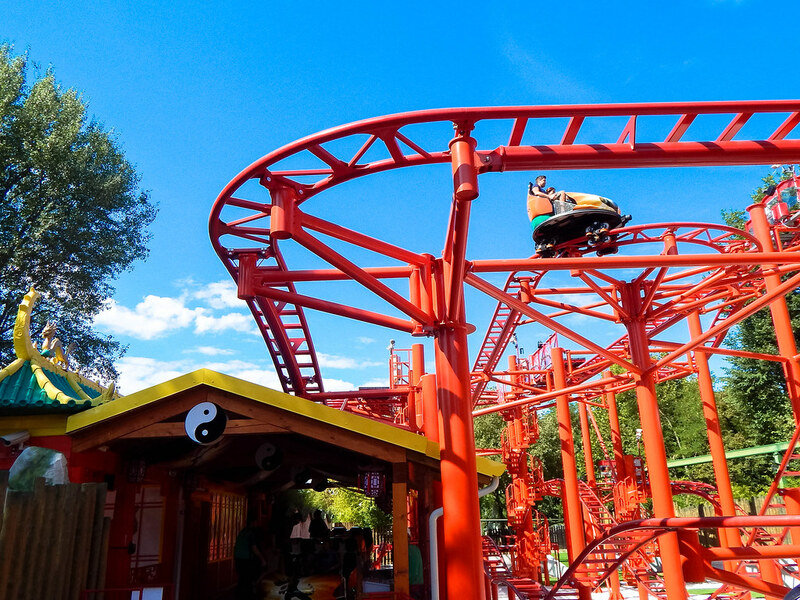 The ride is as thrilling as it looks, and is a true thrill machine! 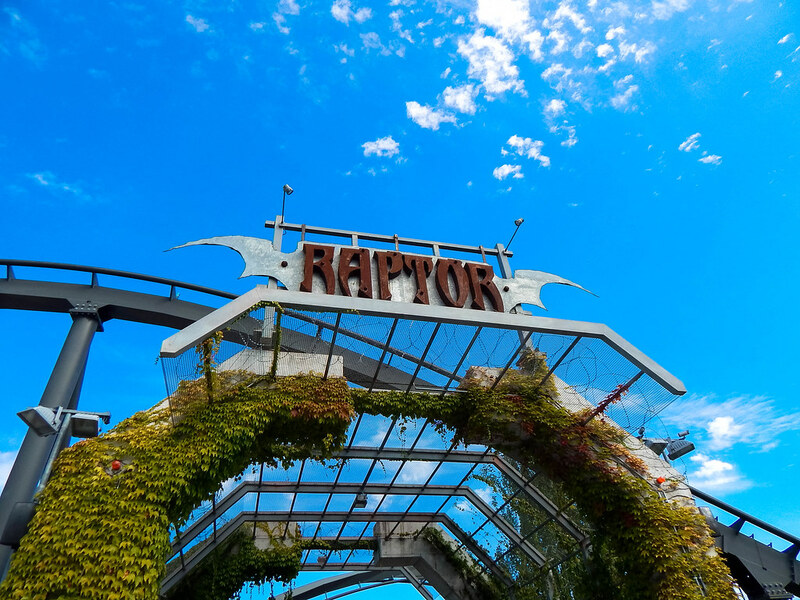 Raptor was the next roller coaster of the day, and is by far our favourite Wing Rider coaster. 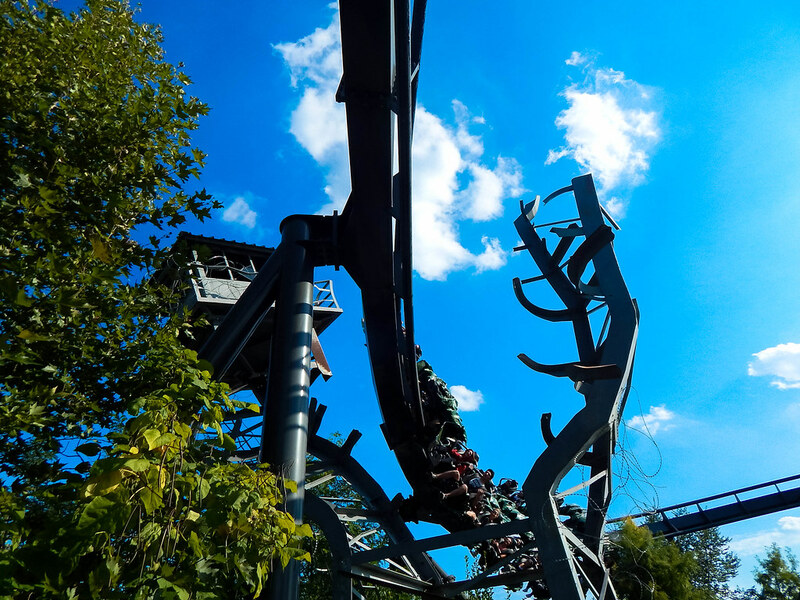 It’s fast, thrilling and it’s theming is incredible! 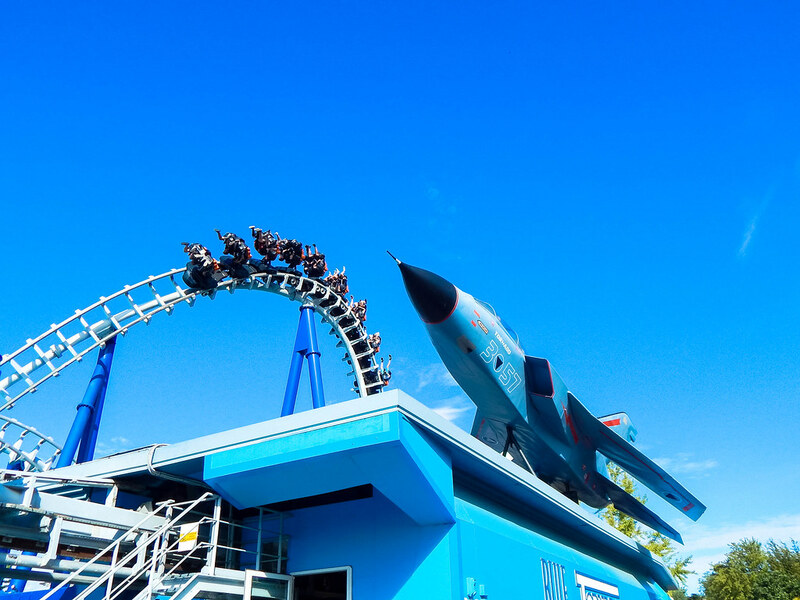 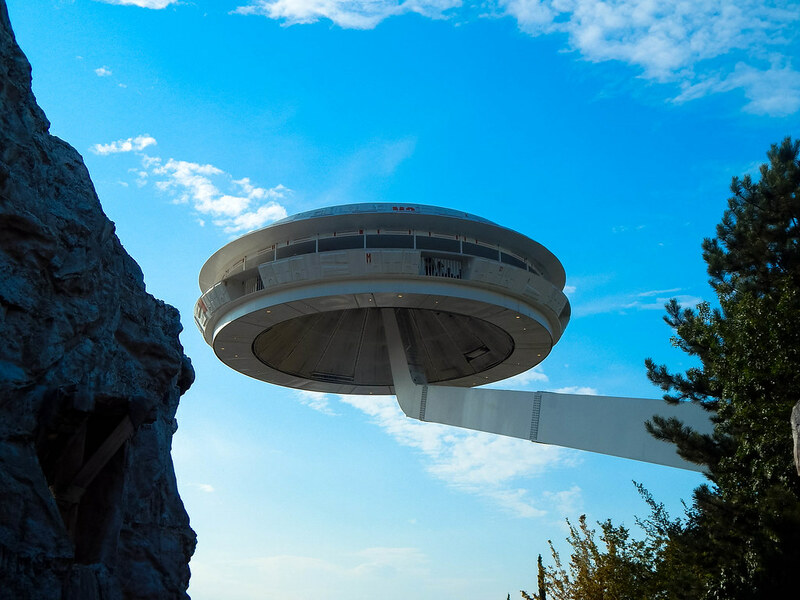 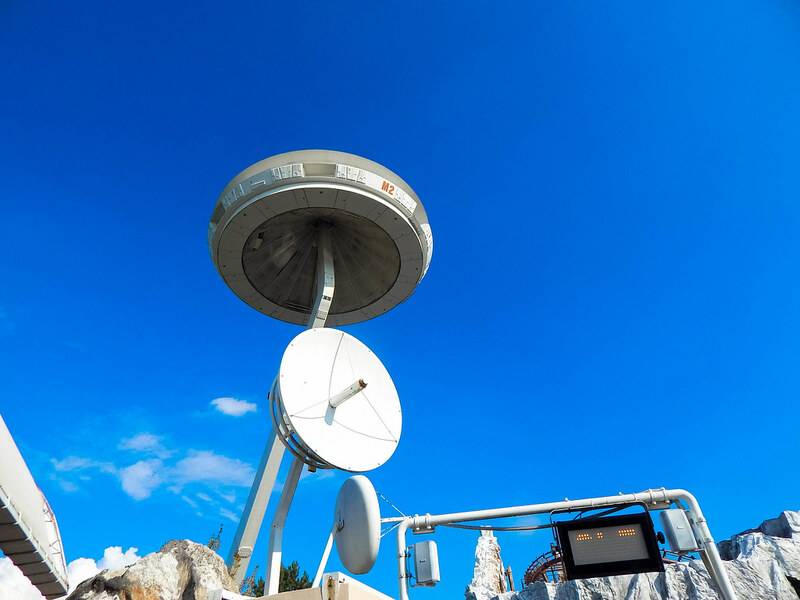 Both of these attractions are fantastic additions to the park and should be on the top of any thrill seekers list. 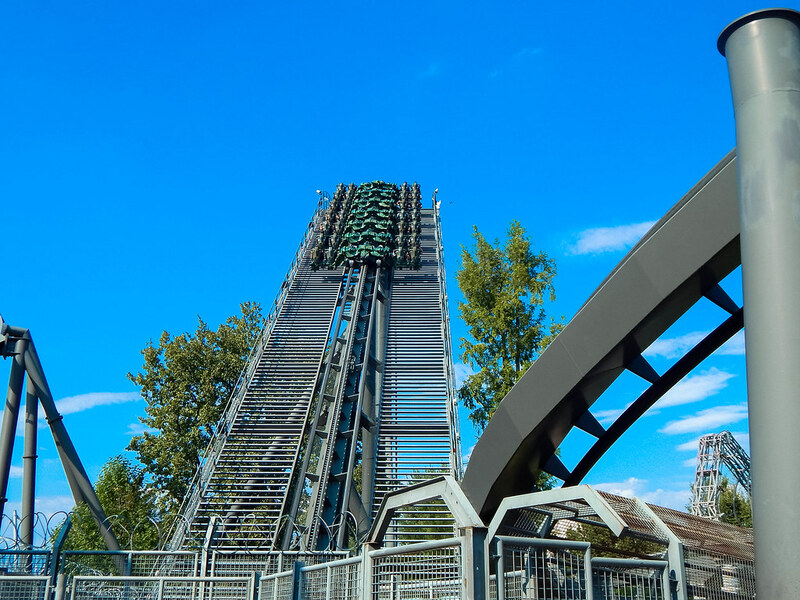 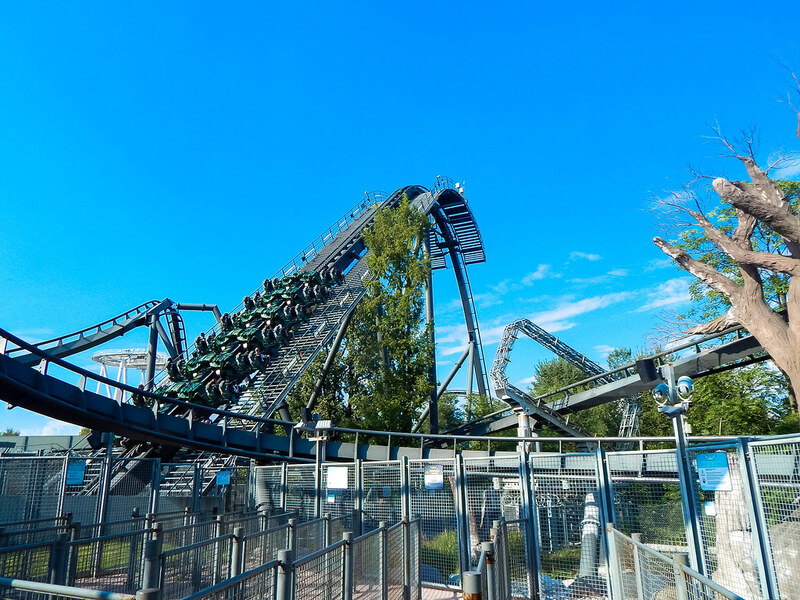 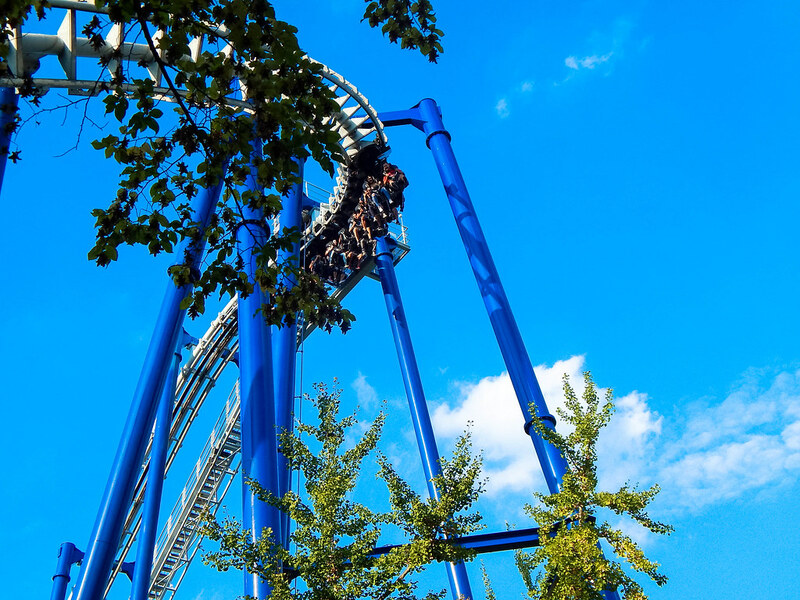 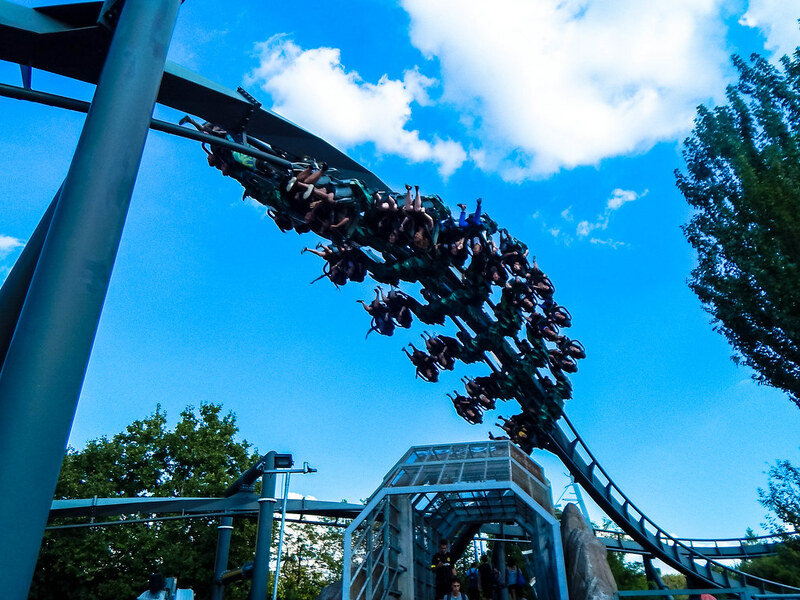 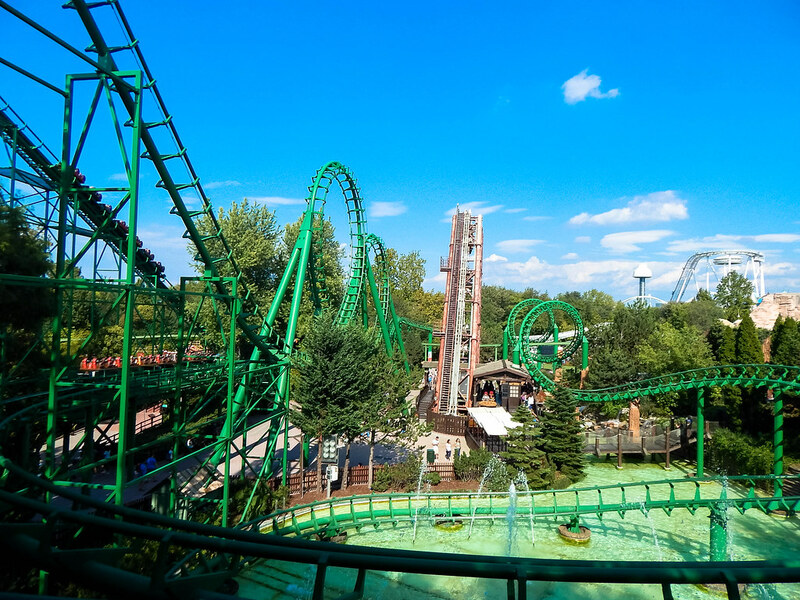 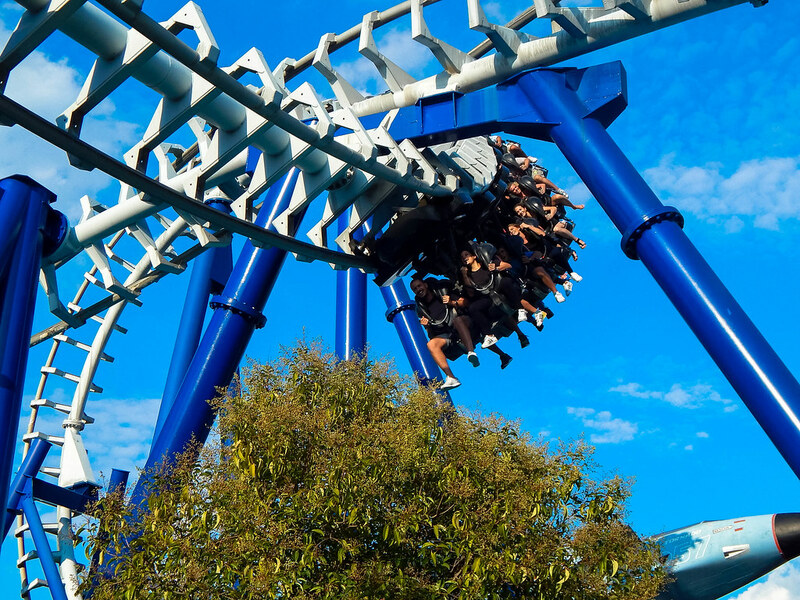 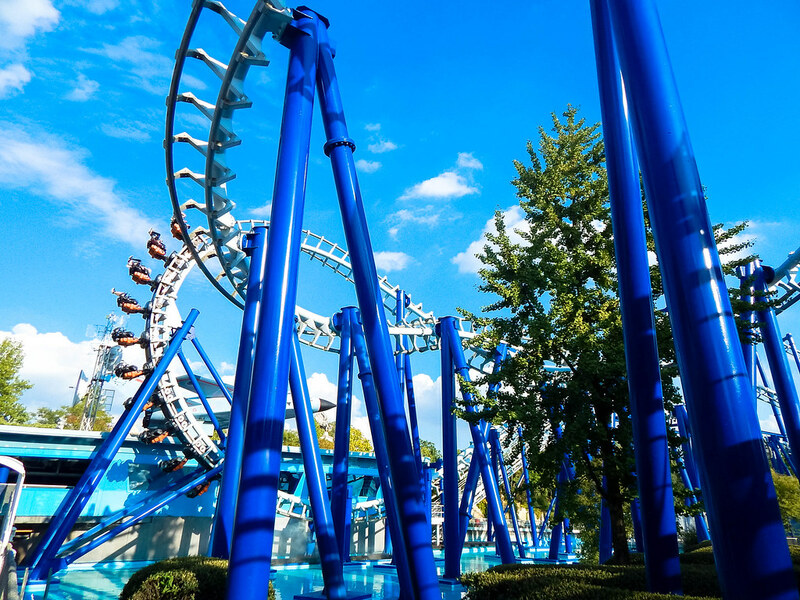 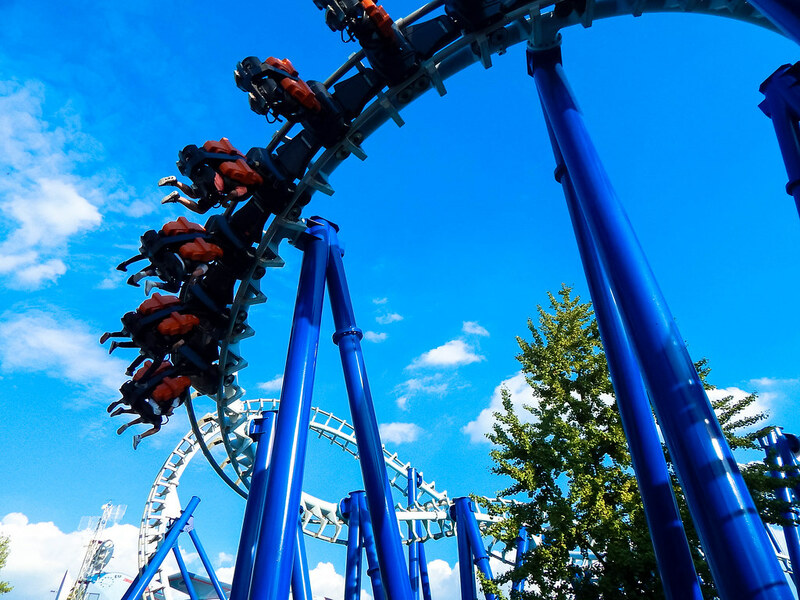 Some of the parks other thrilling lineup includes; Blue Tornado, a rather painful suspended roller coaster; Magic Mountain, a surprising Vekoma looping coaster and Mammut, a very well themed mine train style roller coaster that is perfect for all the family. 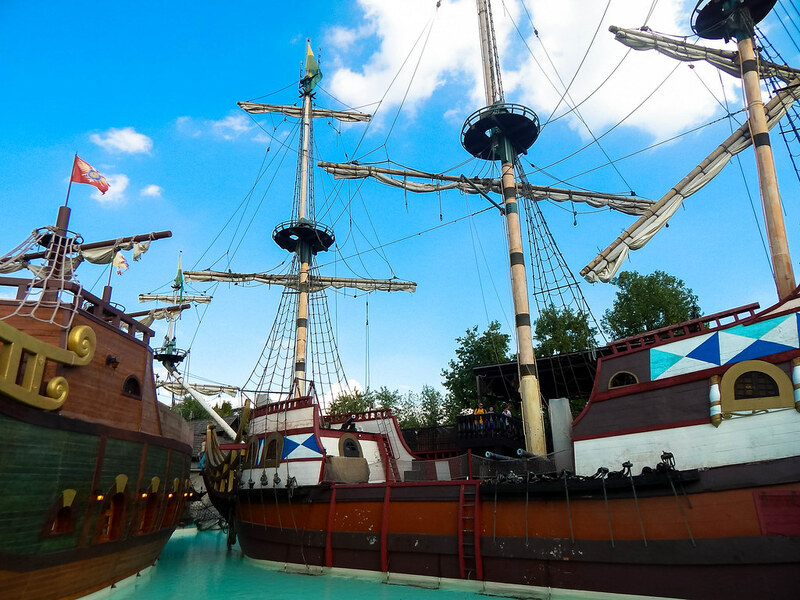 The park also has some fantastic water attractions, with these also being some of the best themed attractions we have ever seen. 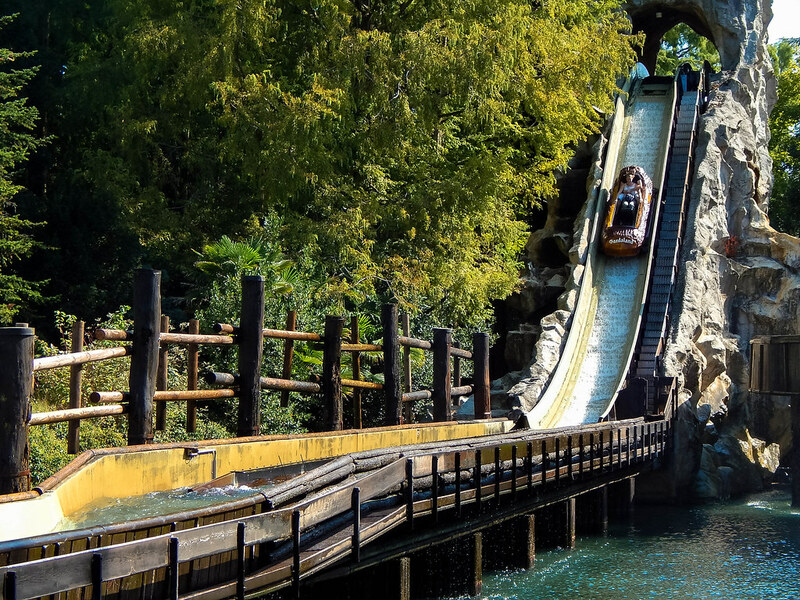 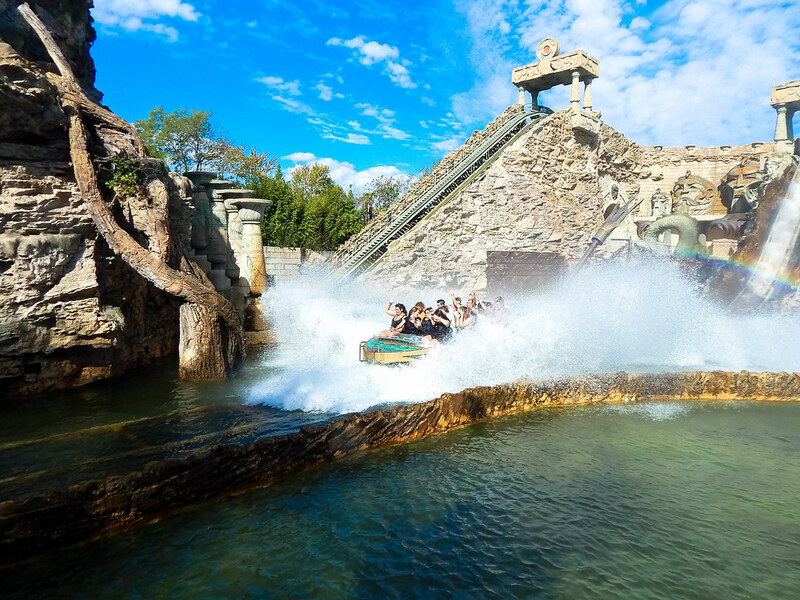 Jungle Rapids takes you on a story through the jungle, featuring a variety characters and certainly a lot of splashes! 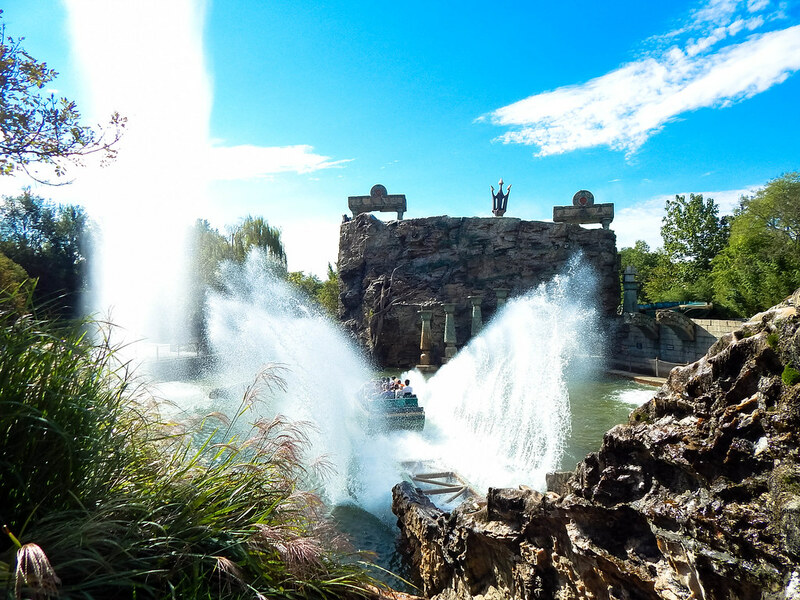 Fuga da Atlantide was also another fantastic experience, filled with thrilling drops, beautiful theming and again, lots of water! 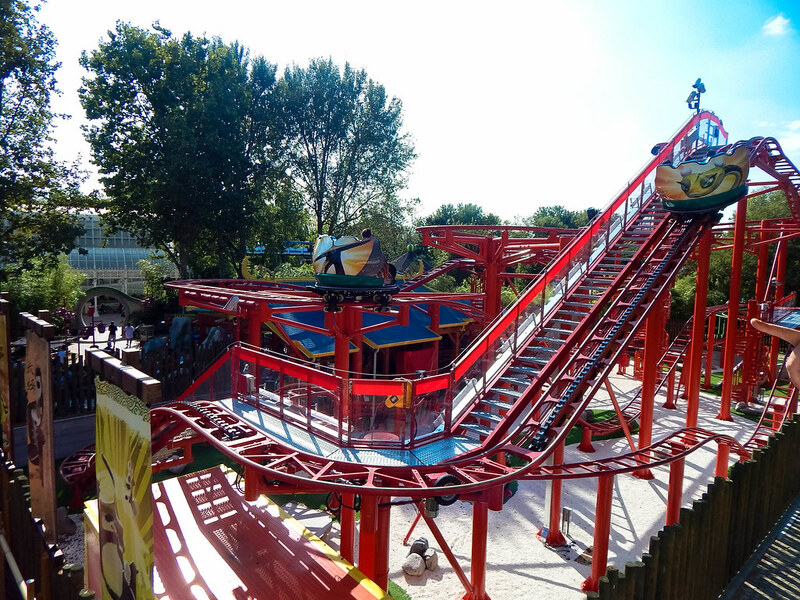 The park also has a variety of rides and attractions for all the family. 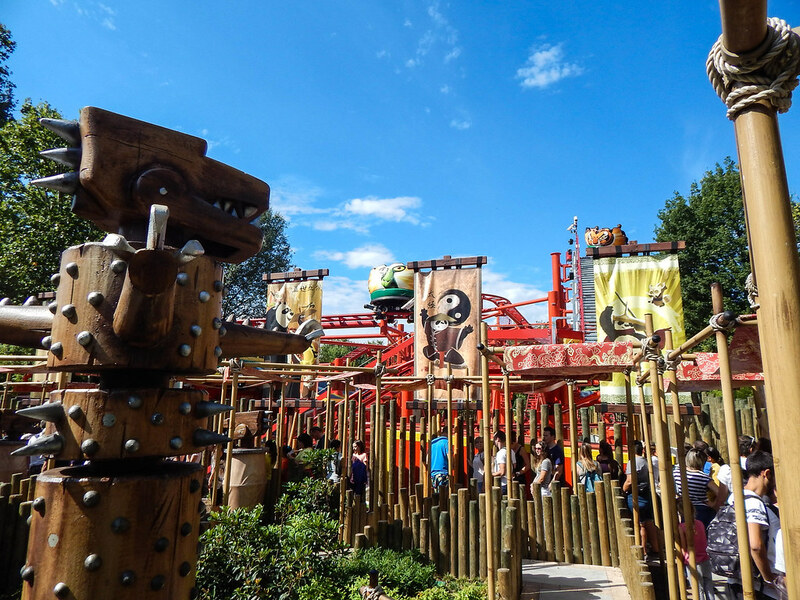 The brand new Kung Fu Panda Academy area was very well themed and was a perfect area for younger guests and families. 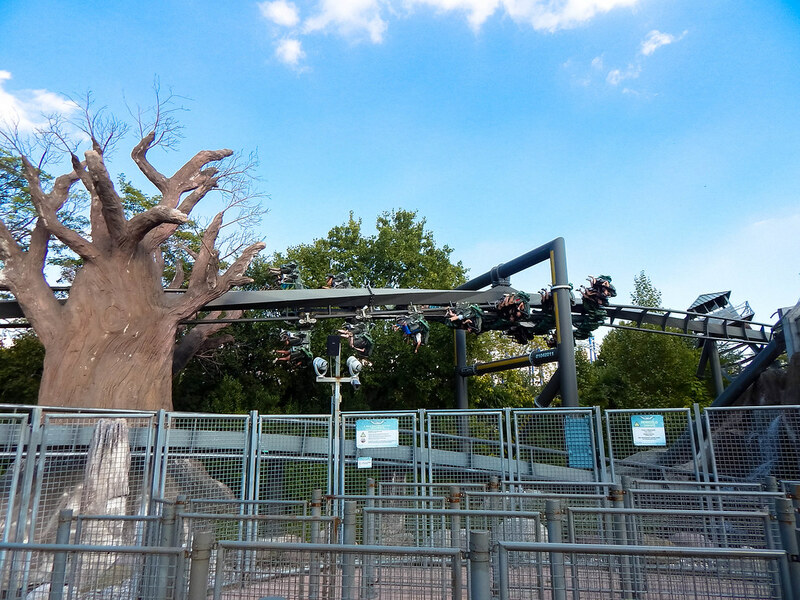 Ramses was a “unique” dark ride experience where you have to shoot a variety of Cyber mummies. 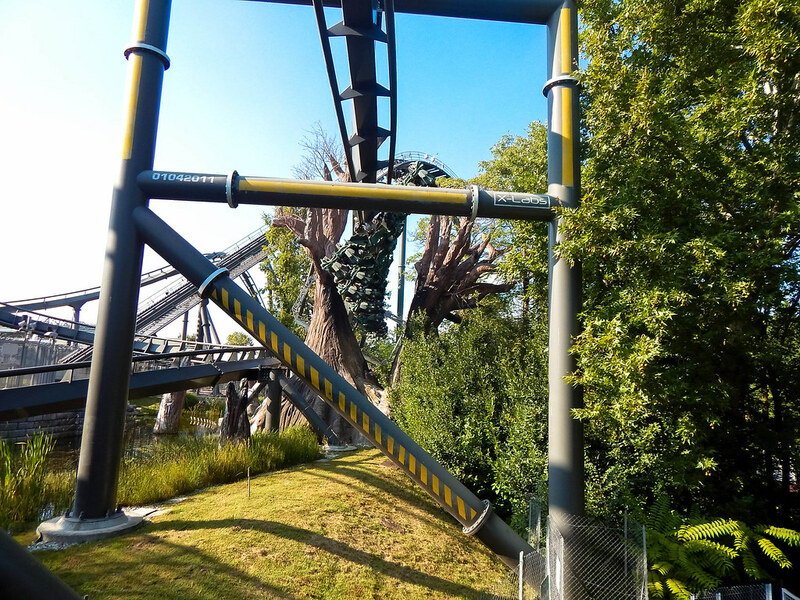 It sounds strange but it is very well themed and should ! 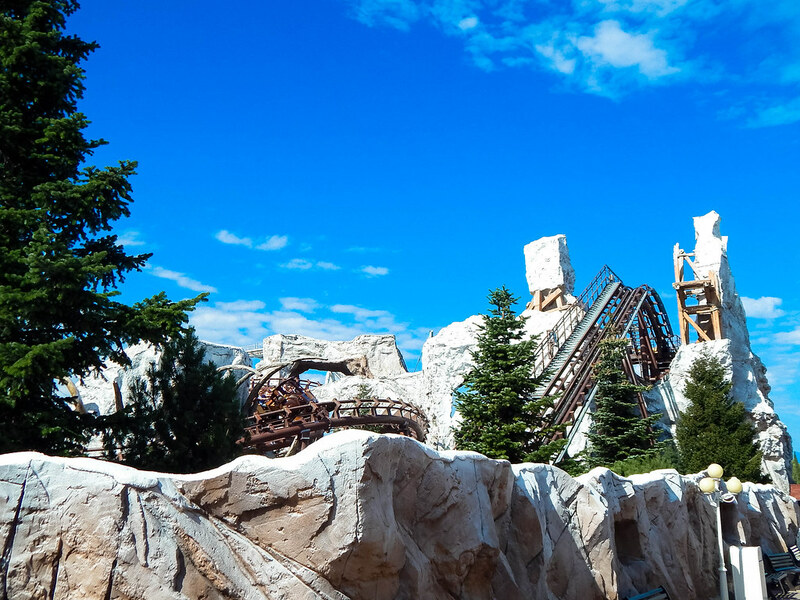 There are some areas of the park that stand out as very well themed but there are also some areas that don’t have a cohesive theme and it turns into a bit of a patchwork of random theming that doesn’t quite work. 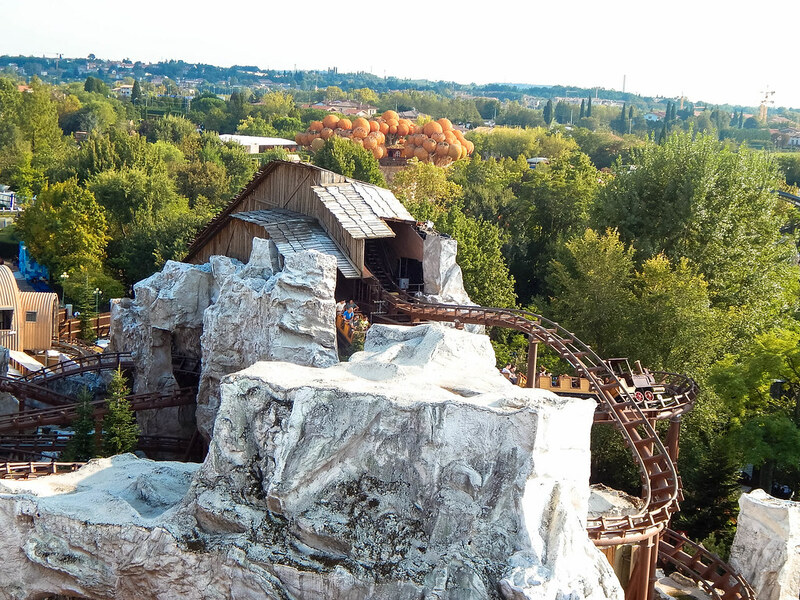 Another of our favourite attractions was the Ice Age 4:D attraction. 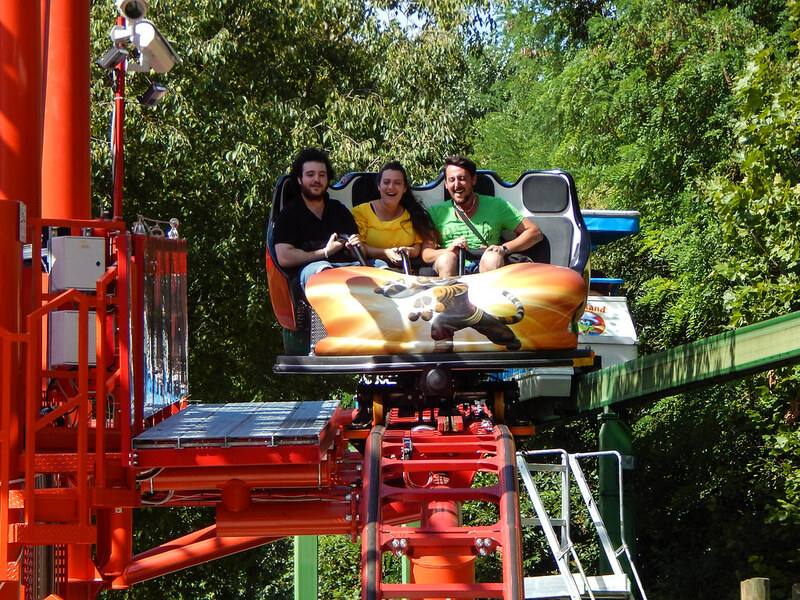 Although it was in Italian you didn’t need to know what they were saying to have a good laugh! 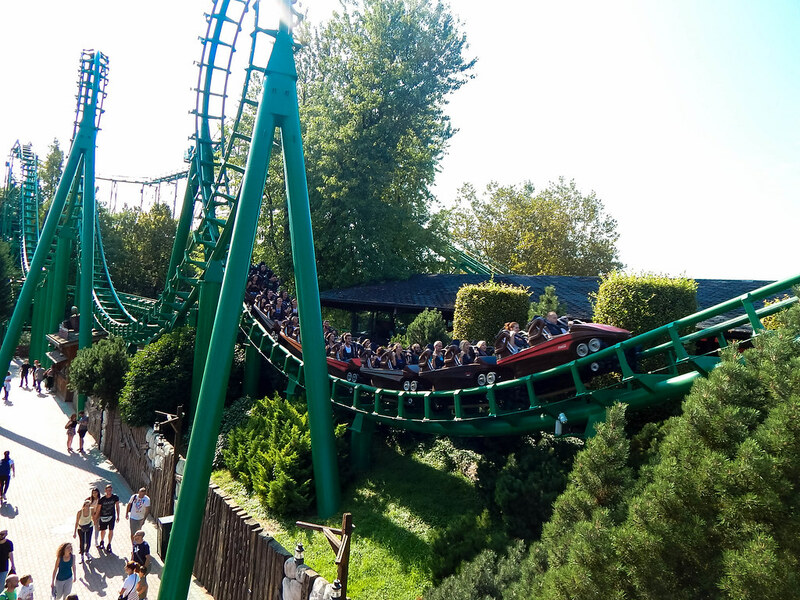 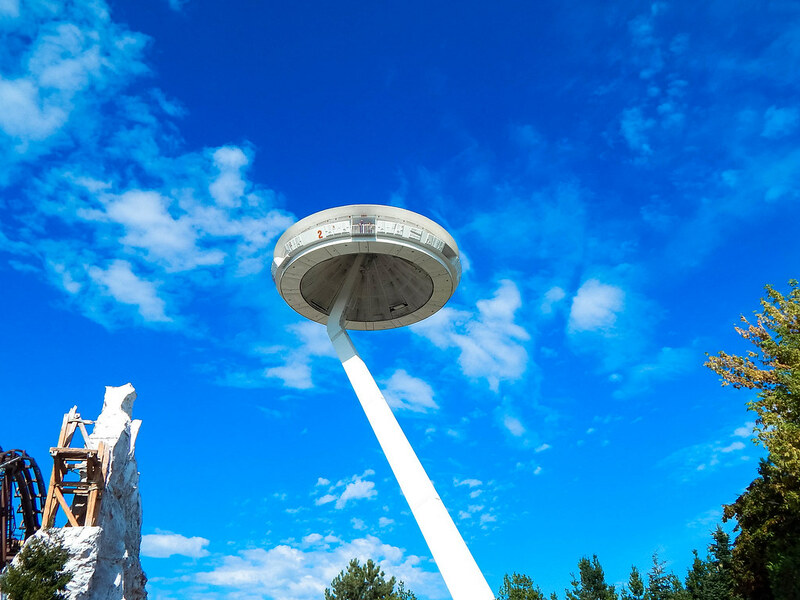 The park is a fantastic day out and should not be missed if you plan on visiting Italy!